Can a quirky kid's spectacular (accidental) invention solve all his problems? A third of all people flush the toilet when they're still sitting on it. Welcome to just one of the many weird and random facts that thirteen-year-old Morgan McCracken spews whenever he is nervous or excited, which is most of the time. The oddball trivia really overflows when Morgan inadvertently invents something everyone wants. He finds himself and the girl he has a crush on running for their lives from greedy opportunists who plan to cash in on Morgan's multizillion-dollar hair-raising discovery! Morgan's path is full of surprises as he navigates bullies, kidnappers, the lure of fame and fortune, and his heart's desire. 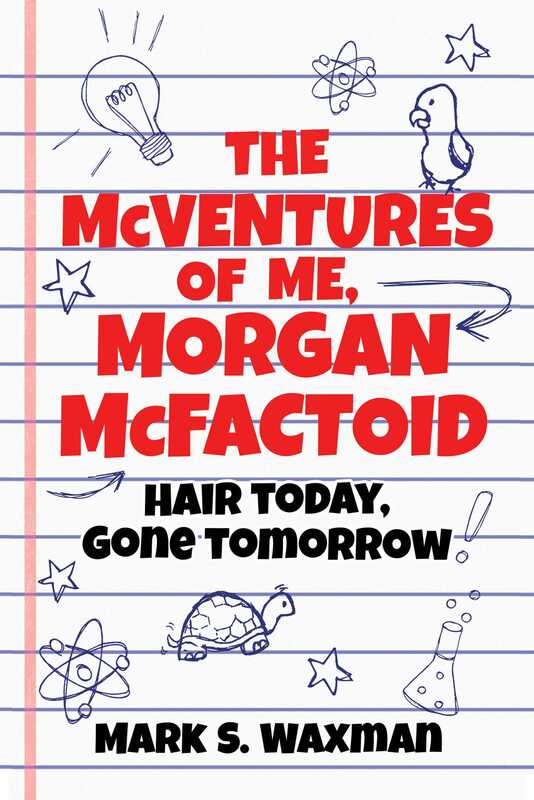 Wit and humor shine in this quirky and fun middle grade debut! Mark Waxman is a multi-Emmy-Award-winning television writer and producer. Earlier in his career, Waxman served as director of program development for Los Angeles public television station KCET, as well as vice president of children’s programming for CBS. He created, wrote, and executive produced the internationally acclaimed kid's science series Beakman's World and the hit comedy Bailey Kipper's P.O.V. He continues to be the perennial sole writer for the NBC television special The Macy’s Thanksgiving Day Parade.